The next new classes start Tuesday, May 7. Click to see full Schedule. Contact Sally for more information or to register for class. 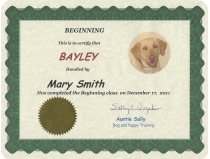 Auntie Sally’s passion for more than twenty years has been helping individuals and families get great training for their puppies, doggie teenagers, and adult dogs. 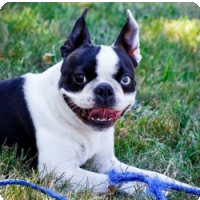 Classes emphasize practical, everyday uses for the good behaviors dogs will learn. Through a combination of training and management you can have the wonderful companion you want your dog to be. 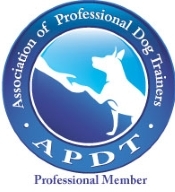 Training techniques are modern, positive-reinforcement based, effective, fun, and safe for you and your dog. 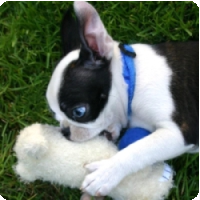 Group classes are held at the Creature Comforts Pet Center , 15106 SE McLaughlin, Milwaukie, Oregon. 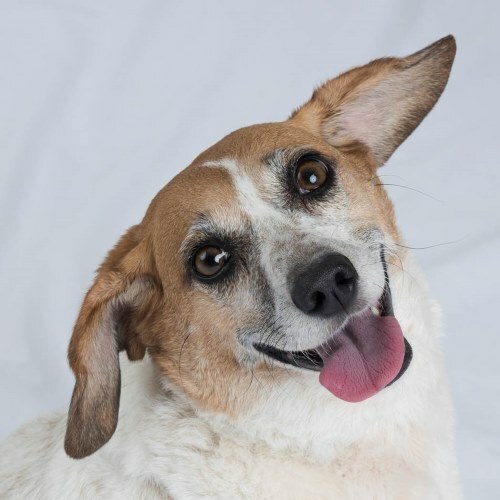 Discount available for seniors or shelter dogs. Serving the Portland Metro area and surrounding communities, including Lake Oswego, West Linn, Milwaukie, Gladstone, and Oregon City. Copyright © 2012 Auntie Sally Dog & Puppy Training. All Rights Reserved.